SHURE UR4S L3 638-698 MHz WIRELESS MICROPHONE RECEIVER **Great Condition!!! It is SHURE UR4S L3 638-698 MHz WIRELESS MICROPHONE RECEIVER. (1)SHURE UR4S L3 638-698MHz RECEIVER. (1) Power link cable. TOP QUALITY, 90 DAY MONEY BACK GUARANTEE !!! MiniDSP UMIK-1 microphone. Deer Creek Audio is an authorized miniDSP dealer. miniDSP application support is available on theminiDSP applications page. Omni -directional. The UMIK-1 is automatically recognized by Windows, Mac and iPad. (1) Soundcraft Notepad-8FX 8-Channel Podcast Mixer Podcasting Interface, USB Effects. The combination of premium Soundcraft components and the built-in USB audio interface make Notepad the ideal centerpiece for your podcasting workflow. Transmitter USED CONDITION TESTED WORKING. VERY WORN CONDITION. (Txt data file (see below). 0 dB = 1V/Pa) • Max SPL for 1% THD @ 1 kHz: 127 dB • S/N ratio: 70 dB A-weighted • Connector: gold plated XLR • Phantom power: 15V to 48V • Weight: 144 grams. txt file is available for the EMM-6. Windows 32bit: VST2, VST3, AAX. Windows 64bit: VST2, VST3, AAX. Speaking of interfaces, while there are many options on the market to choose from, the Slate Digital VRS8 should be at the top of your list of converters to consider. G-622H 200 Channel UHF PLL Microphone System. One Year Warranty Covered by GTD Audio ( USA ) Inc. (1) Dual channel UHF receiver. It is designed for a wide range professional application with 200 selectable channels. Super Nice & Clean Yamaha Russ Miller Subkick Drum Microphone ---------> Cool!!! Works as it should and sounds great. No stand is included. Condition is Used, Very Good. SHURE UR4S L3 638-698 MHz WIRELESS MICROPHONE RECEIVER . No antanne. SHURE UR4S L3 638-698 MHz WIRELESS MICROPHONE RECEIVER . No antanne. . Condition is Used. Unit is a little scratched up but works great. I recently upgraded so im phasing out the old gear. This Line 6 wireless microphone supports the digital channel lock technology, which avoids interruption of all types of radio frequencies to ensure better audio output. Fully tested and functional. Will show signs of wear due to previous handling. Beyerdynamic M69 N(C) Microphone. In very good preowned condition. 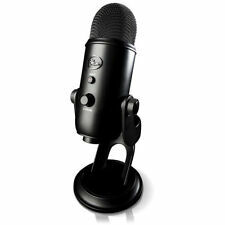 This mic has been tested and sounds good. Comes with case, xlr cable, clip, instructions and original box. SHURE SM58 Mikrofon mit Tasche. MADOOMA -- die Kopfhörer- und Mikrofon-Spezialisten -- präsentieren Alt, gebraucht, deutliche Gebrauchsspuren/Rost vorne am Korb (siehe Fotos), voll funktionstüchtig. One Year Warranty Covered by GTD Audio ( USA ) Inc. It is designed for a wide range professional application with 32 selectable frequency channels. It is perfect for professional use at any events. LX-22 32 Channel UHF PLL Microphone System. Lectrosonics IFB T6 Transmitter - Block 33. They're in Lectrosonics Block 33, which is 844.8 - 862.0 MHz. The MXL 990 remains one of the industry's most ground-breaking microphones. 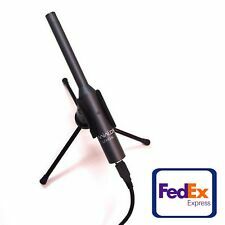 (1) Rockville RCM03 Pro Studio Recording Condenser Microphone. Video of RCM03 Unboxing Video of RCM03 The frequency pick up pattern makes the RCM03 amazing in studio applications. The aluminum construction makes the RCM03 tough enough for Live sound applications as well! 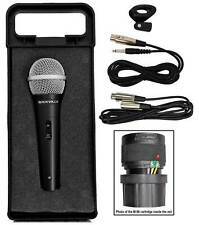 This mic is in excellent condition, has been tested, and includes the mount and carrying bag. Not included box manuals battery or anything else. INVENTORY #36213. 1 -Shure 53A8252 Right Rack Ear. 1 -Shure 2' PNC to PNC Cable. 1 -Shure 95A8994 Bulk Head Adapter. 1 -Shure UA400 1/4 Wave Antenna. Thus preventing any possible "rack rash" or scratches. TRITONAUDIO FetHead Preamp. Der FetHead verstärkt das Ausgangssignal und umgeht dabei lästigen Noisefloor/Rauschen. Wie funktioniert der FetHead?. D er FetHead verstärkt das Signal OHNE lästigen Noisefloor/Rauschen. Akg solid Tube Valve Studio Microphone . Condition is Used / fully checked through / beautiful. No cradle / a universal one works fine and cheap from thomman. Grab a bargain. 90 DAY MONEY BACK GUARANTEE, AMAZING QUALITY! Great read if you get the chance ; to cut short The BBC found that the reslo ribbon mic was less than great and needed a few changes, which this mic has. -New ribbon fitted 2.5micron rca style corogation - tuned. Vintage JAX Ball Type Dynamic Gold Microphone Stock #121 NEVER USED! EXCELLENT UNUSED CONDITION IN IT'S ORIGINAL BOX. HIGH IMPEDANCE. 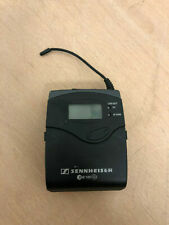 For sale a Shure wireless beta 58 UT4A-VF with low hours cover missing. The mic can be turned on and off but you need a ball point pen. Authorized Dealer! Make Offer For Best Price! Shipped with USPS Priority Mail. Pre-owned in excellent condition with carry case and instructions, also includes xlr cable. It also excels in live applications. You can't go wrong with the Behringer C-1. 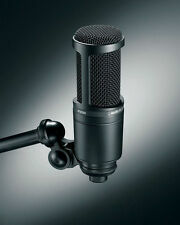 Behringer C-1 Studio Condenser Microphone Features at a Glance Diaphragm Size 0.63" (16mm). Microphone Type Condenser. Another difference between condenser and dynamic mics is they contain active circuitry that requires phantom power ( 48 V DC) for operation. Sold in perfectly matched pairs, these condenser mics are outstanding in both live and studio applications. The mic has been tested and is in great working condition. We try to describe them to the best of our knowledge. Good Luck. ARC Measurement Microphone (original model). Fully compatible with ARC 2. PLEASE NOTE: NO SOFTWARE IS INCLUDED - the cost to transfer the licence is more than the licence is worth, so not much point. Comes with clip. Does not have plastic case. Good confition.Very little use. This was really helpful before I built a fully treated mix room, less so now. Pretty flat response so works well as a regular omni microphone - has a bit of a dip in the high end, but useful in the studio nonetheless. I'm currently using Sonarworks Reference 4, more because I prefer the interface, but they both work similarly. Will be dispatched with Royal Mail 2nd Class. Thanks for looking!